Like looking in a mirror, huh?! I love these colors together. So serene!! I used Hawaiian Shores from PTI as my card base. Then, I took my *very hard to find* Doilies stamp set from My Mind's Eye from the Stella and Rose Collection, and stamped various blues and greens over my card base. Then, I took some strips of some patterned paper from the same line, and added it to the bottom of the card base. I decided to use the sentiment "Thinking of You" from the Simon Says Stamp Exclusive set For The Record and stamped that out in Versa Fine Black Ink. To finish off the card I added some bling with them gemstones I had in my stash. Hi all!! 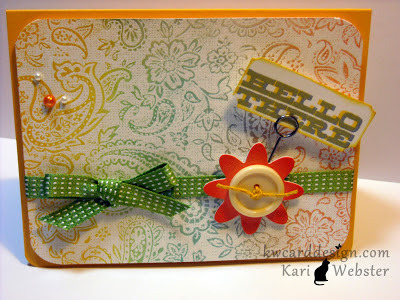 Welcome back for Day THREE of Sweet Stamp Shop's OCT release Sneak Peek! Today we are giving you a peek into another adorable set called Geek Chic. You should have arrived to me by the way of oh so sweet and talented Misty. I started out by stamping onto a white card base panel a great background stamp from Sweet Stamp Shop - Against the Grain in a bright lime color of green. Then, I stamped the "male worm" onto my card stock, and paper - pieced him with a woodgrain piece of pattern paper. 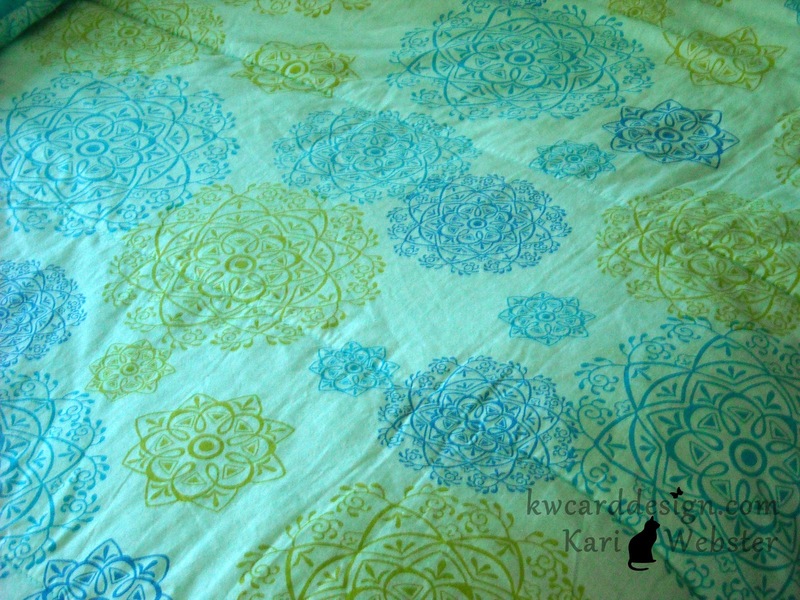 Originally the pattern paper was brown, and then I took my G24 Copic marker and colored it the green tint. I paper pieced his glasses, and his cute little bow tie. 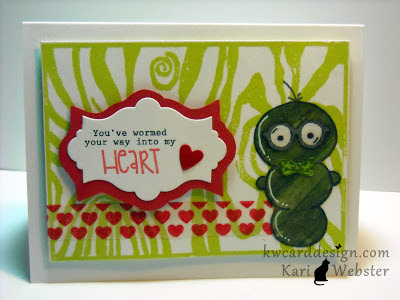 I just love this sentiment too - "You've wormed your way into my heart". I stamped that and die cut it with one of my Apothecary Framelit dies. I created a red border by tracing around the outer edge of the die. It really makes the sentiment pop!!! I added a red heart - and applied some Glossy Accents, and some fun red heart washi tape. I think the green and the red together are a good combo!! So fun, and happy!! What a whimsical card!! Trust me - this set you will adore!! And, remember all of the new sets being released are just $10!!! That's so great of Nicole!! Be sure to leave comments along with way, because as always there are great prizes to be won!! Here is a list of the hop order in case you get off track. Hi crafters!! 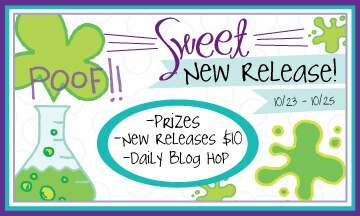 Welcome to Sweet Stamp Shop's Release Week. It is so excited to do the new releases!! Nicole really has come up with some adorable images that we know you will love :) You should have come my way by sweet ( and oh so crafty) Stephanie. Today we are giving you a sneak peek into the new set called Chemistry. 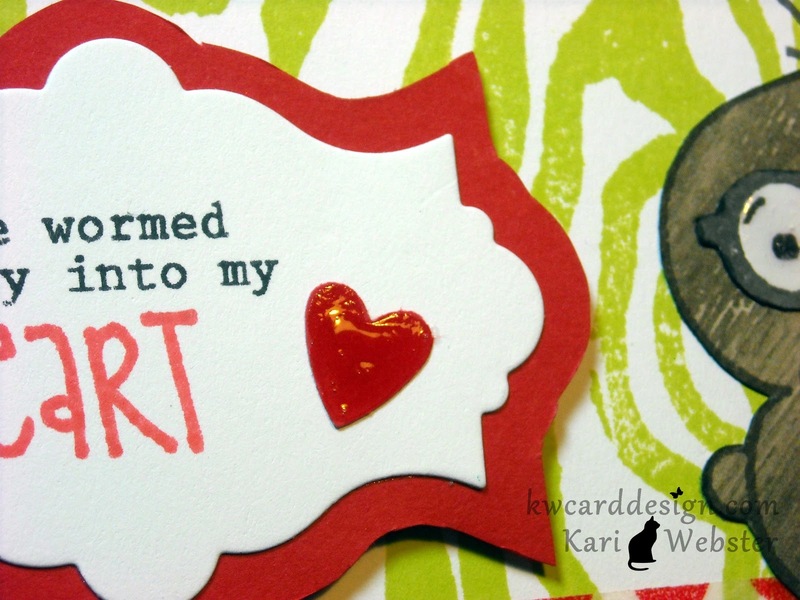 I will say this one of my favorites - so many cute images and sentiments with this set. Here is my first card with this set. This is a bit in a different direction for me - I used spray mists on my card. I used three colors of sprays - Two from Studio Calico - Sherbet and Estate Green, and the orange mist is from the Dylusions line from Ranger called Pure Sunshine. The cute splatter image is from the new set - and I inked that image up with some inks that came as close to my spray mists as possible. Then, I wanted to add some glitter in to the mix - so I did the same things as I did with the inks - and pulled out some Stickles to match as close as possible to the ink colors. This cute sentiment is adorable - and can be used for many things - like home made goods with the recipe :) I can't make a card it seems without incorporating washi tape - LOL. I have enough to go around - to where I will have it a while. Here is a closer look at this card, and the glitter goodness. 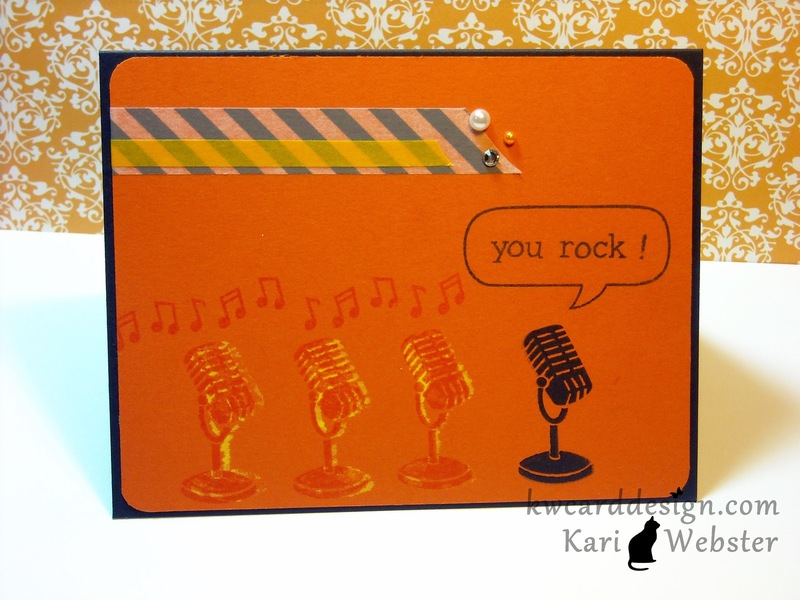 My second card is featuring another cute "element" to this set - and I love the sentiment. I just think these "table of elements" are so cute and I've not seen it in any other stamp set. I punched out a heart with a heart punch from SU! from some Vintage Creme card stock - and then stamped with Staz On ink the "gold" element onto some glitter card stock/paper. 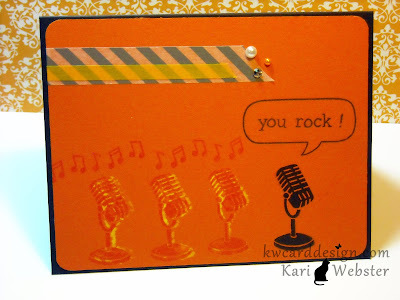 I stamped in Gold the border at the top of my card panel and then added some gold washi tape. I added some bakers twine and popped up my card panel from my black card base. I then heat embossed in gold the sentiment " You have a heart of Gold". Two different cards - both so fun!! Be sure to make comments along the way - there are prizes to be won! - and remember that these NEW releases once revealed - are only $10!!!! That is a bargain!!! Now head over to Ellen's blog - I am sure she has something fabulous to feast your eyes upon!! Hi blog hoppers!! 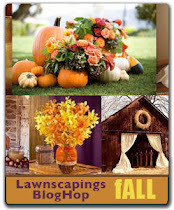 Welcome to Lawnscaping's Fall Blog Hop! You've made your way to me by the lovely and uber talented Joe Shien Shien. Today we want to inspire all of you with the colors of fall or what represents Fall to you! Being able to combine Fall and Lawn Fawn stamps is so super fun to me! 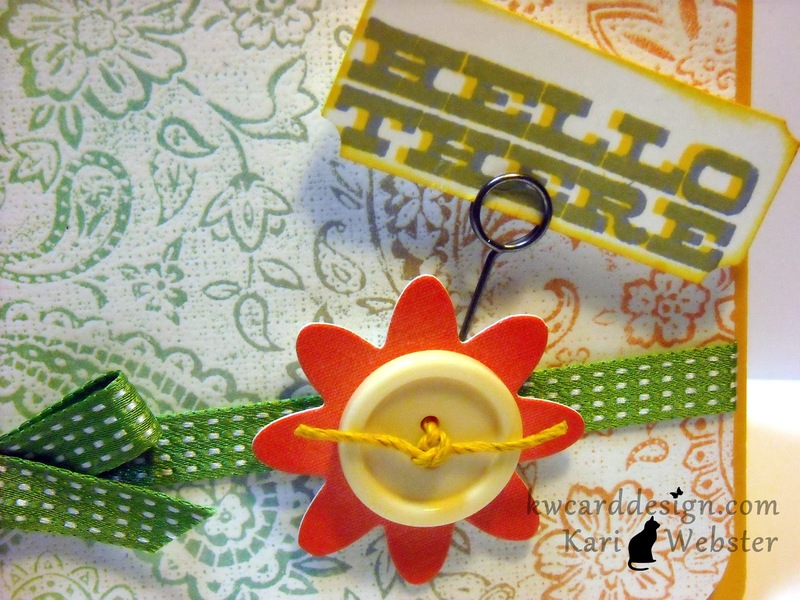 Lawn Fawn inspires me to take my stamps and creativity as far as it can go!! 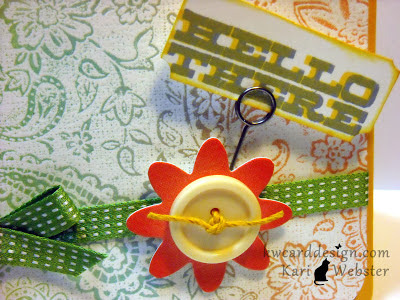 Today - I am happy to be apart of such a wonderful group of talented crafters for today's hop!! 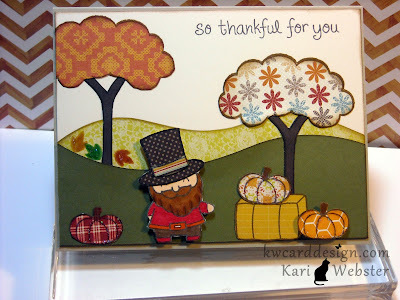 For my card - I used Lawn Fawn stamp sets - Critters in the Burbs, Gnome Sweet Gnome, Hats Off to You, Critters on the Farm and So Thankful for You. I did a lot of paper piecing for my card. I used pattern papers from Autumn Spice from Lily Bee Design, and an AC 6 x6 paper pad I purchased at Michael's Craft Store. 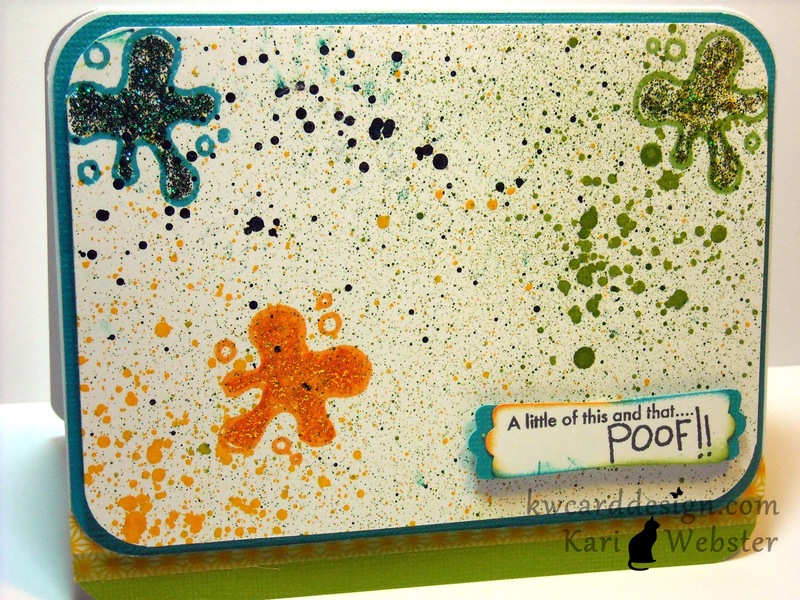 My card base is an A2 sized card base and its made from Gina K. Designs called Soft Sand. My card panel is a piece of Vintage Creme Card stock from PTI. I used the In the Meadow Die from PaperTrey Ink to create my hill tops. I am not talented enough I feel to create these free hand - that is why I love these dies so much. 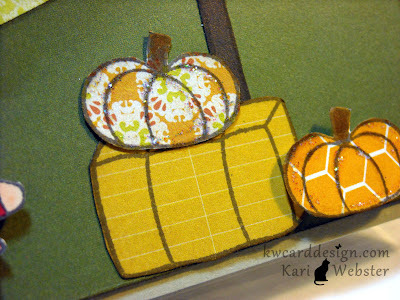 Then, I stamped out all my pieces cut them out, and paper - pieced the trees, the hat for "pilgrim gnome" and my pumpkins. I added more color to my "pilgrim gnome" by using my Copics. I added some Star Dust stickles to my pumpkins and leaves for that extra "something". 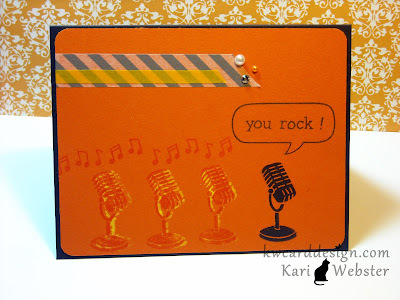 I can't express to you how much I enjoyed making a card for this blog hop!! I love all things Lawn Fawn and I hold all of my collections from stamps to paper from them dear to my heart! Well - its time send you on your way to the awesome and sweet Rachel!! Be sure to leave comments along the way - there just be a chance to win something wonderful! !